Picture the scene: you’ve got a selection of spices mixes in your cupboard that you’ve made or bought for a particular recipe and never used again…or someone has bought you a great set of spice mixes from the lovely people at Spice Kitchen, for example, and you don’t know what to do with them, here’s some ideas for you. 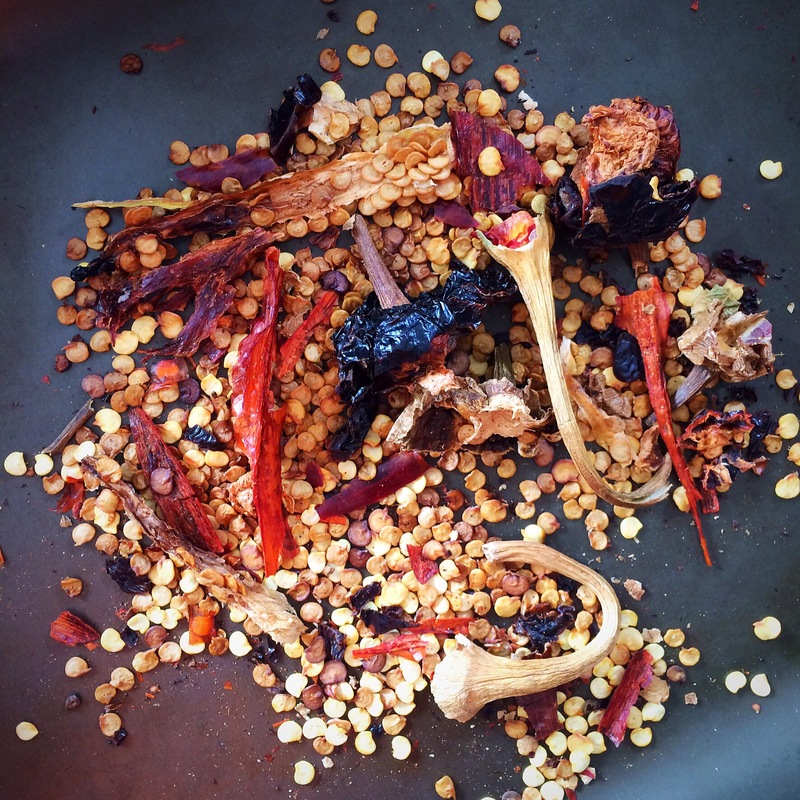 In fact, this is why I love making spice mixes because you can use them so easily. 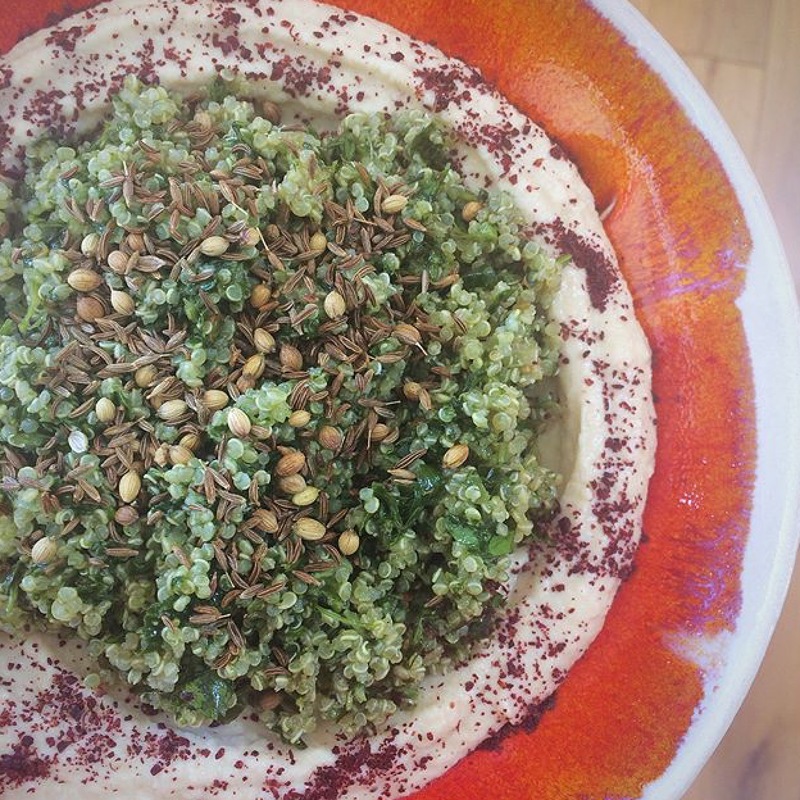 Whatever the spice mix, whatever the origin, these ideas will work with whatever you’ve got to hand..
Stir a teaspoon of any spice mix into a small bowlful of natural yoghurt, ideally Greek yoghurt, or a mix of half yoghurt/half mayonnaise. Allow at least an hour for the flavour and colour to develop before serving. Stir again before serving. Add a teaspoon of any spice mix to a pot of shop bought homous, or a small bowl of homemade homous. 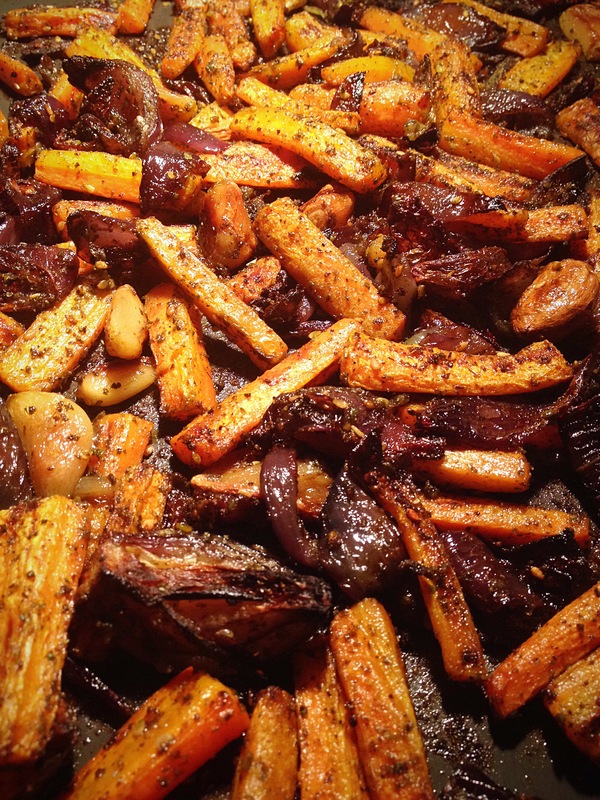 Allow at least an hour for the flavour and colour to develop before serving, it will be even better the next day. Stir again before serving. 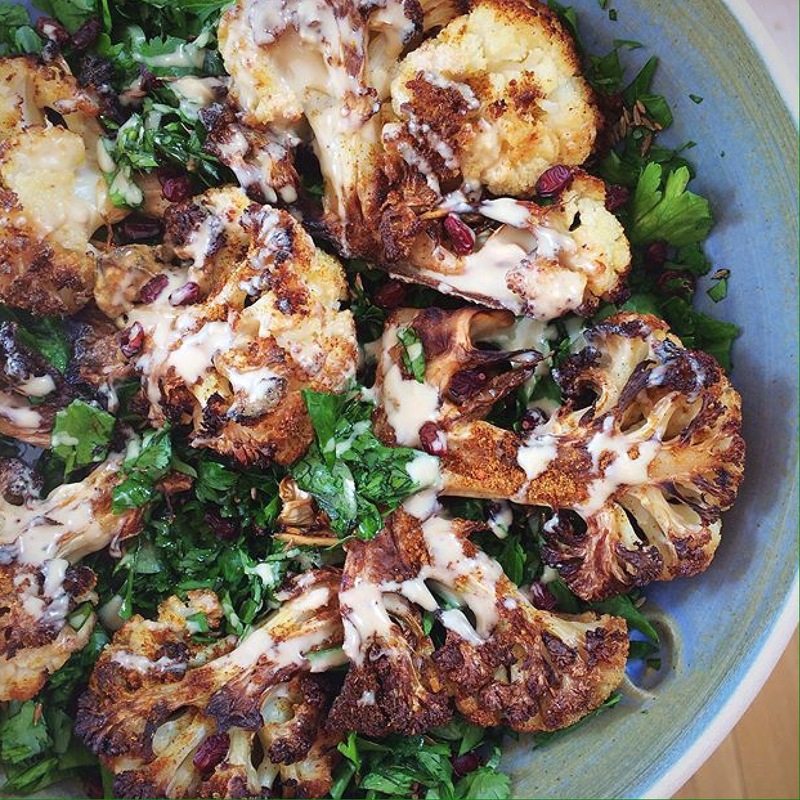 I particularly like using my Moroccan spice mix or harissa spice to do this. Sprinkle a pinch of spice mix over cooked eggs prior to eating. Stir half a teaspoon of spice mix into scrambled eggs or an egg mixture prior to making an omelette. 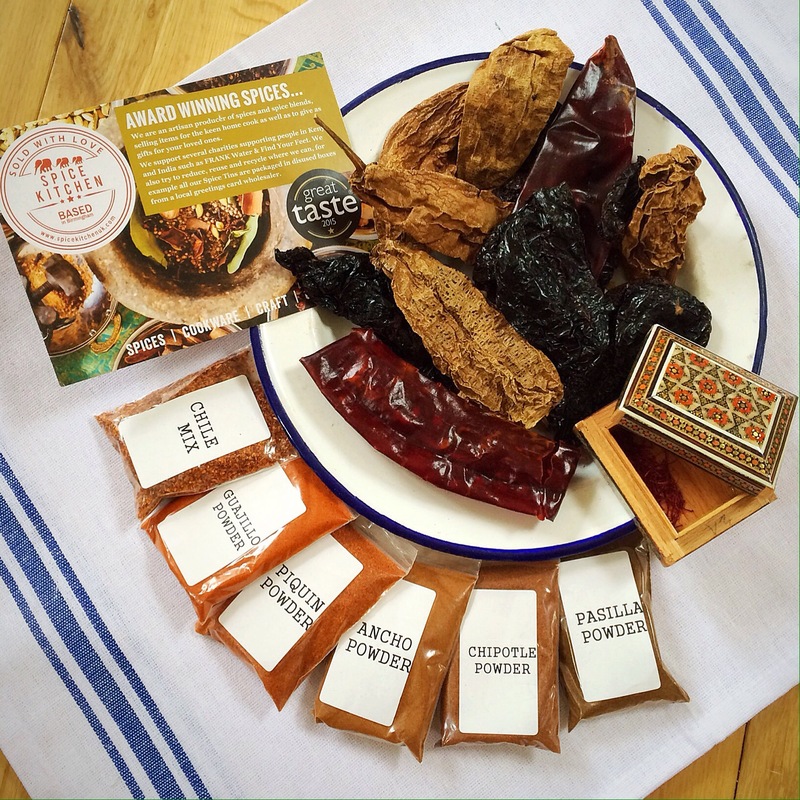 Try a Mexican spice mix for starters. 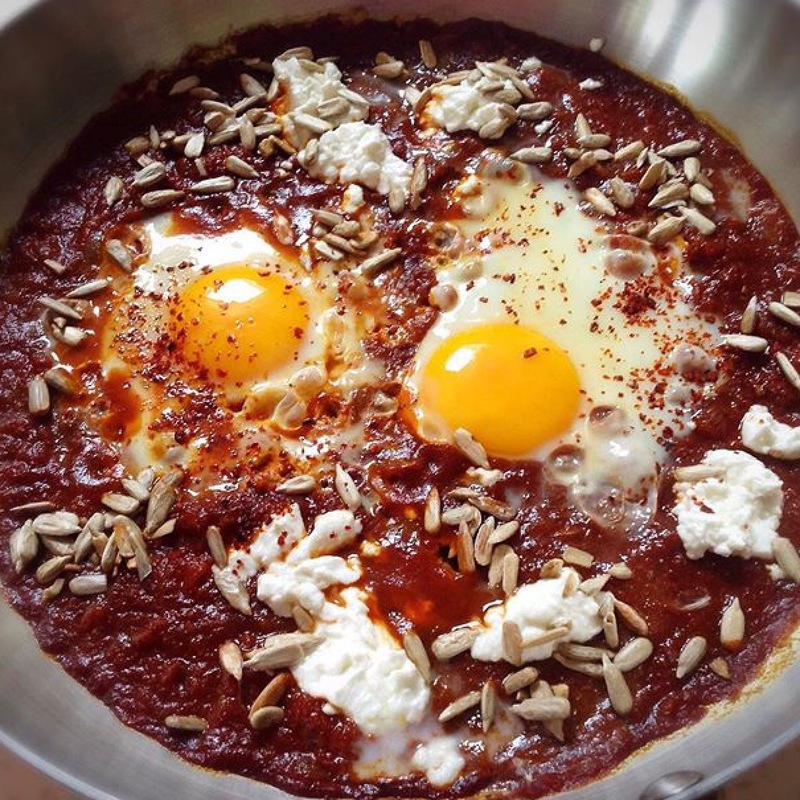 Eggs and tomato sauce in one! 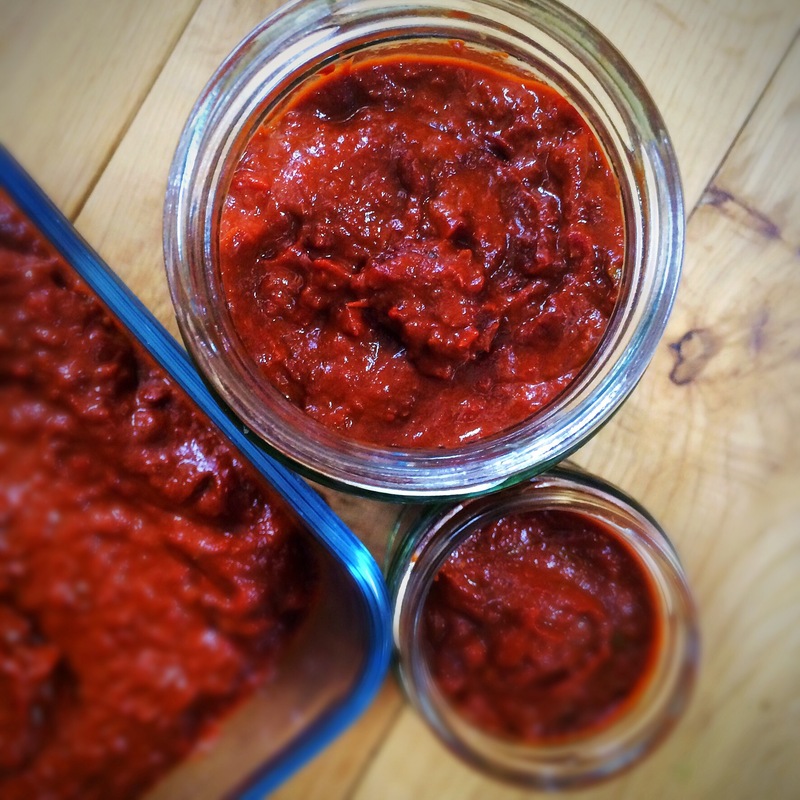 Make an easy tomato sauce and add any of the spice mixes as it cooks. Add a teaspoon of the spice mix to any premade soup, or add several teaspoons to your own homemade soups as you cook the base ingredients. I’ve made a lot of soups recently, for example, this soup above is made of olive oil, onions, garlic, carrots, water and baharat spice mix. 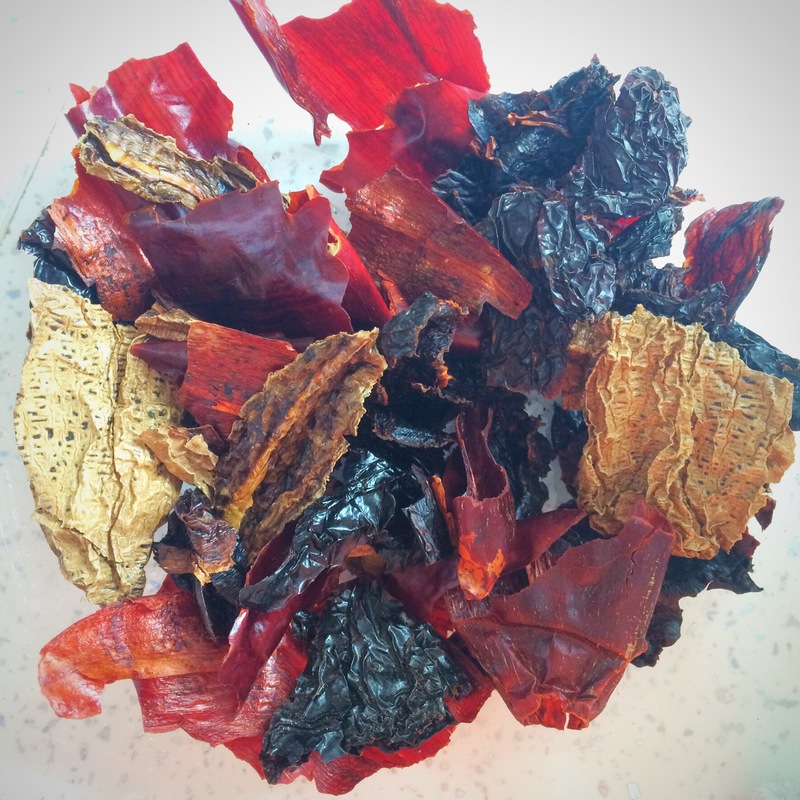 I’ve made similar in the past with Mexican and Indian spice mixes. Whereas this soup is made with cauliflower and a Japanese curry powder. 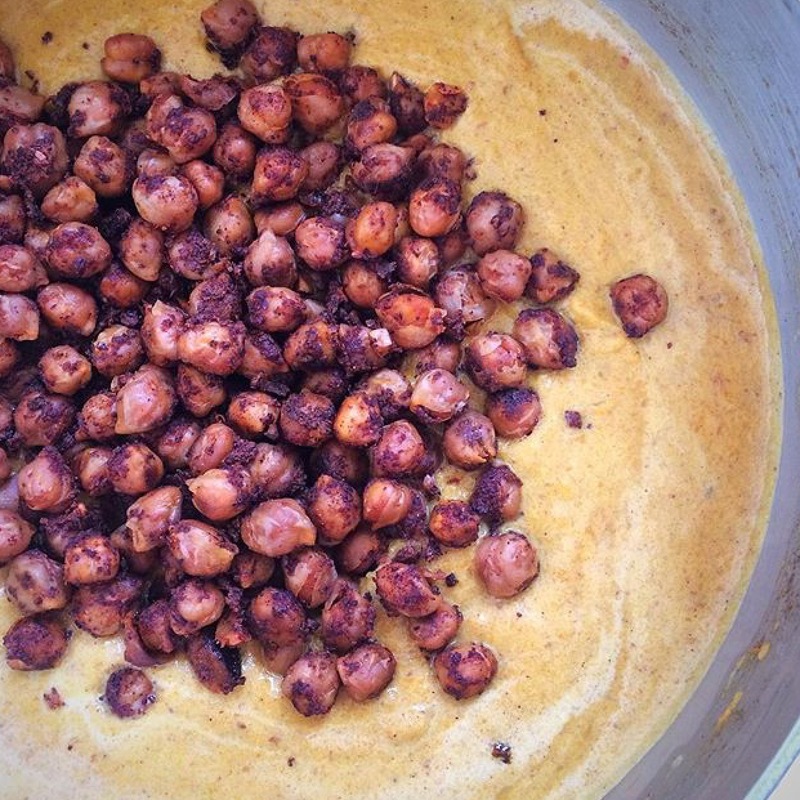 Drain a can or jar of chickpeas and toss with a tablespoon of oil and a couple of teaspoons of spice mix and roast in a single layer at 180C until the chickpeas look roasted and tasty, and before they start exploding in your oven. Pretty much the same as above, more details on my post here. Stir some spice mix through any cooked rice or grains prior to serving. Mix a pinch of spice mix with homemade or shop bought salad dressing, or just sprinkle some spice mix over a salad just before serving. Finely chop fresh mixed herbs, garlic, maybe a chilli, with olive oil, lemon juice/your choice of vinegar, and add some spice mix. Cut 2 your choice of vegetables or meat into chunks, put them into a plastic bag (preferably one without any holes) in it, add 2 heaped teaspoons of spice mix and shake the bag to mix it round and cover all of the chicken. 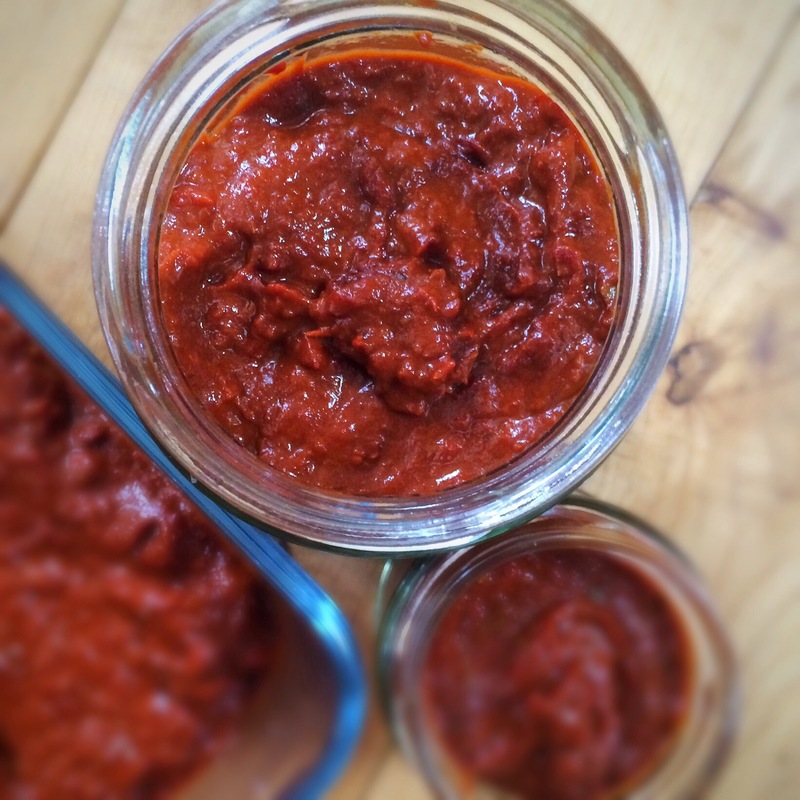 Leave in the fridge to marinate for at least an hour, maximum 24 hours before cooking. 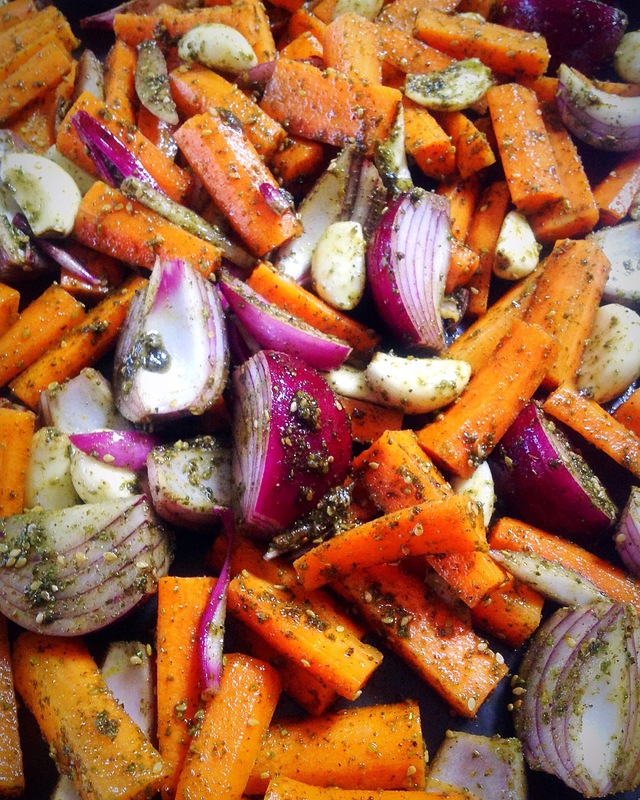 Alternatively, mix a couple of teaspoonfuls of spice mix with a couple of tablespoons of oil and create a paste. Add you choice of veg/meat and thoroughly stir it through the paste. 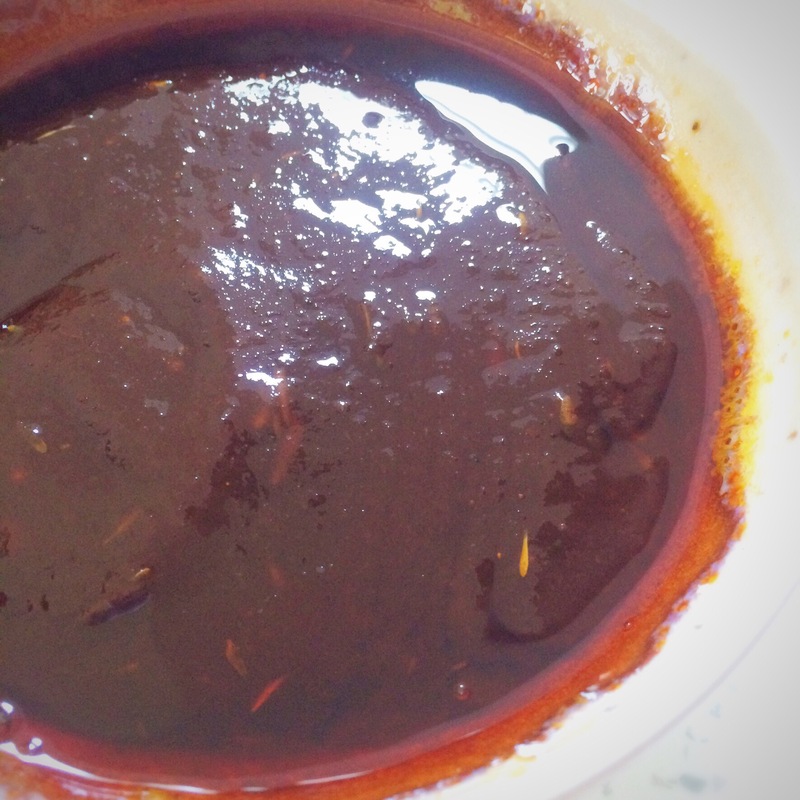 Leave in the fridge to marinate for at least an hour, maximum 24 hours before cooking. 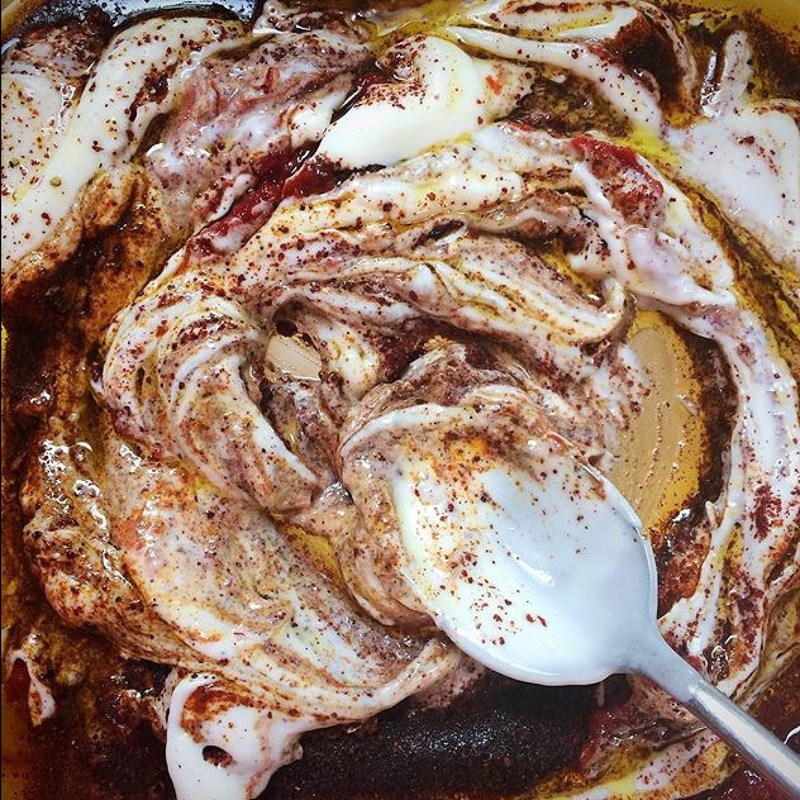 Or, add a couple of tablespoons of spice mix to a couple of tablespoonfuls of natural yoghurt, below, and marinade as above. These work well if you are then grilling/broiling or barbecuing the vegetables/meat. 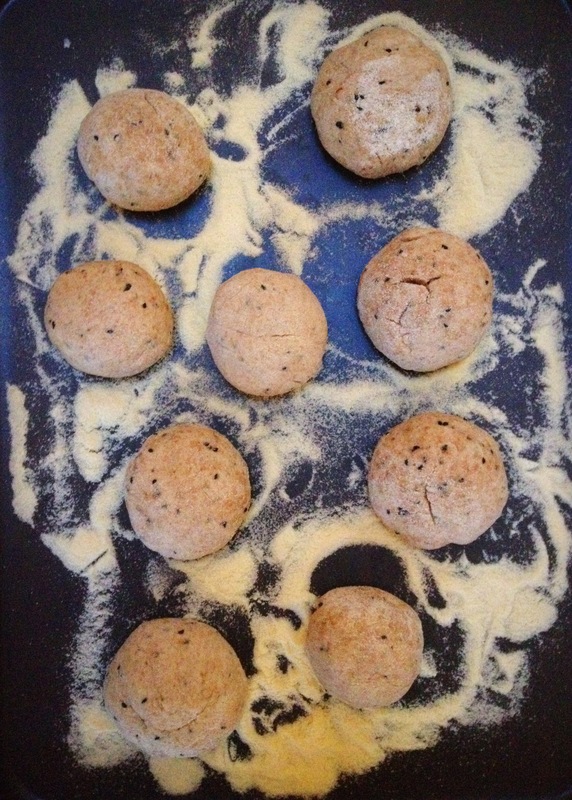 OR…..throw some spice mix into your bread dough! 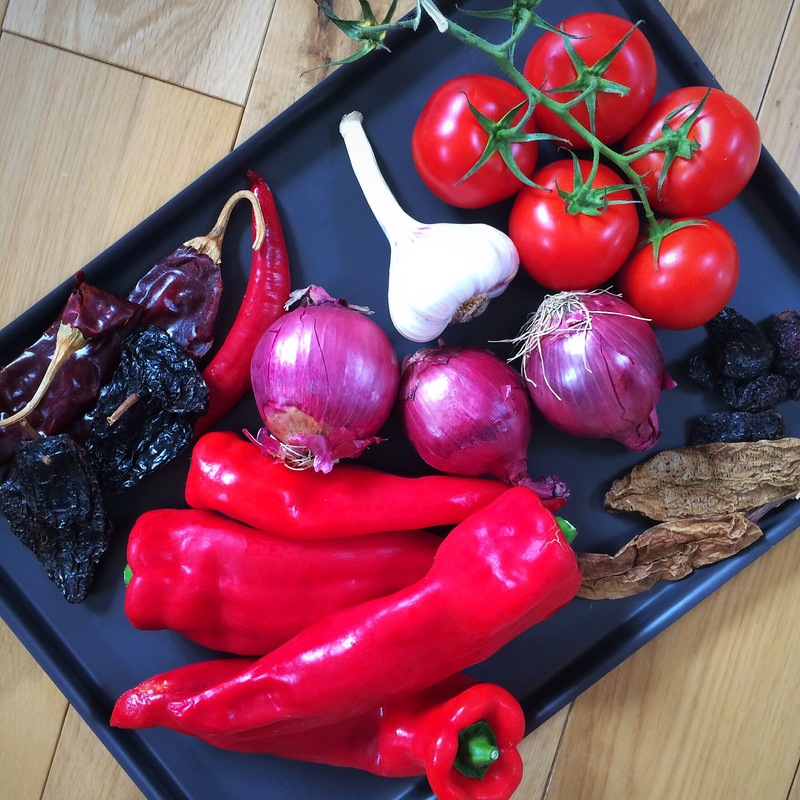 This entry was posted in Healthy, Mexican, Middle Eastern, Roasted Vegetables, Vegan, Vegetarian and tagged cooking, fiesta friday, recipes, spice mixes, spicekitchenuk, spices on October 13, 2017 by Elaine @ foodbod. This dish was part of a Mexican feast that I served for lunch last weekend, and it was so good, I’m still salivating about it!!!! 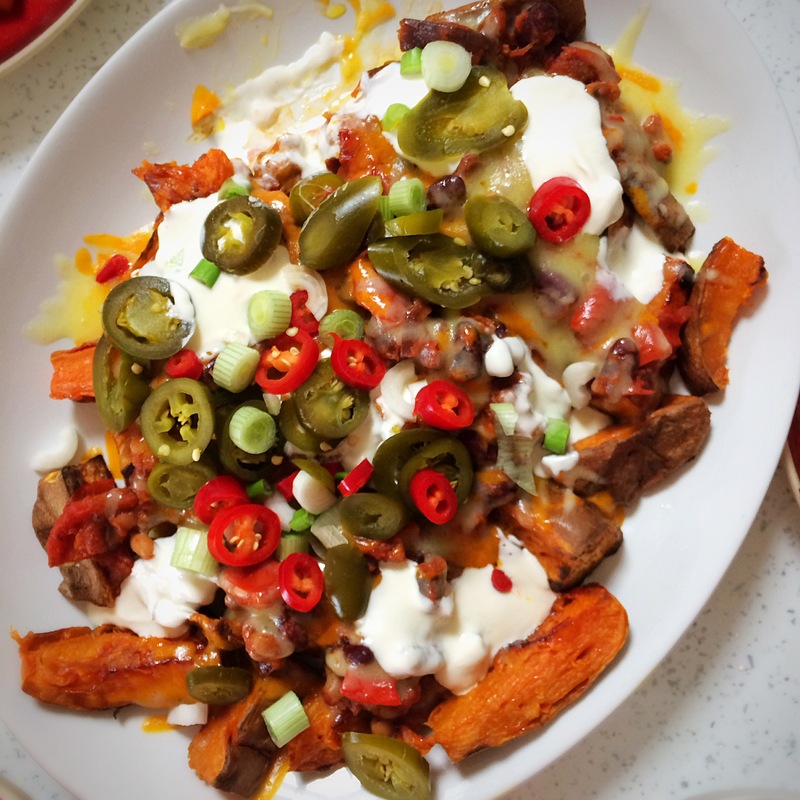 It’s basically loaded nachos, but with sweet potato wedges instead of nacho chips. 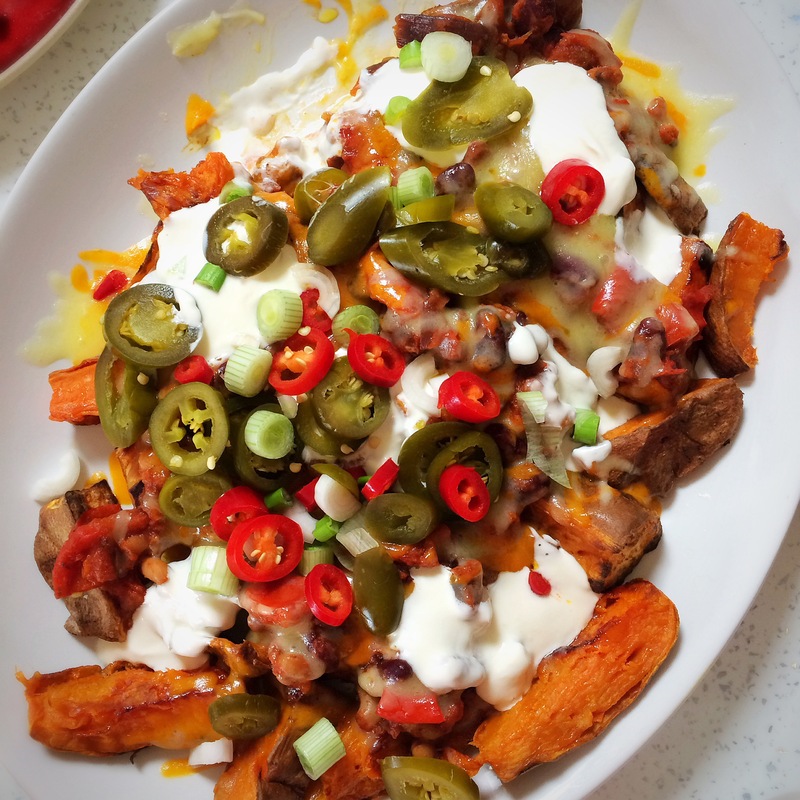 I roasted some sweet potato wedges and laid them in a single layer on a large plate; I covered them with some of my mixed bean chilli, made with one of my homemade Mexican chilli sauces; then covered it all with a mixture of grated cheddar and Red Leicester cheeses. That went in the oven for the cheese to melt, then I topped it all with jalapeños, chopped mild green chillies, chopped spring onion and soured cream. I can tell you, it didn’t last very long at all!!!! I hope you’ve all had a great week and have a great weekend ahead. Now, it’s Fiesta Friday time…! 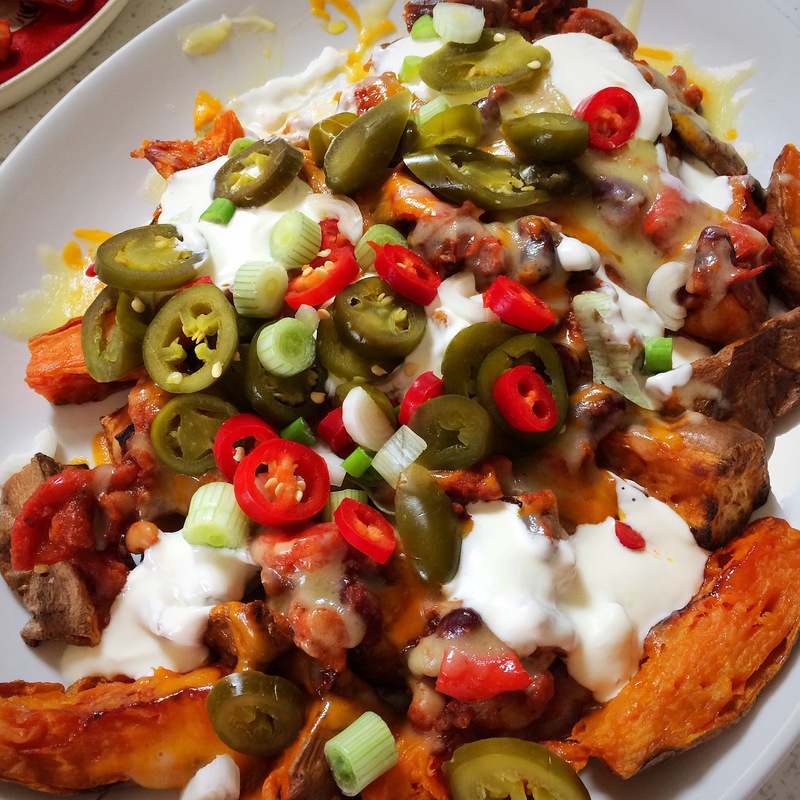 This entry was posted in Dinner, Gluten Free, Lunch, Mexican, Roasted Vegetables, Sweet Potato, Vegetarian and tagged cooking, loaded nachos, recipes on March 17, 2017 by Elaine @ foodbod. I’ve been slicing and stacking and playing with vegetables over the last week, and producing various versions of a ‘tian’. 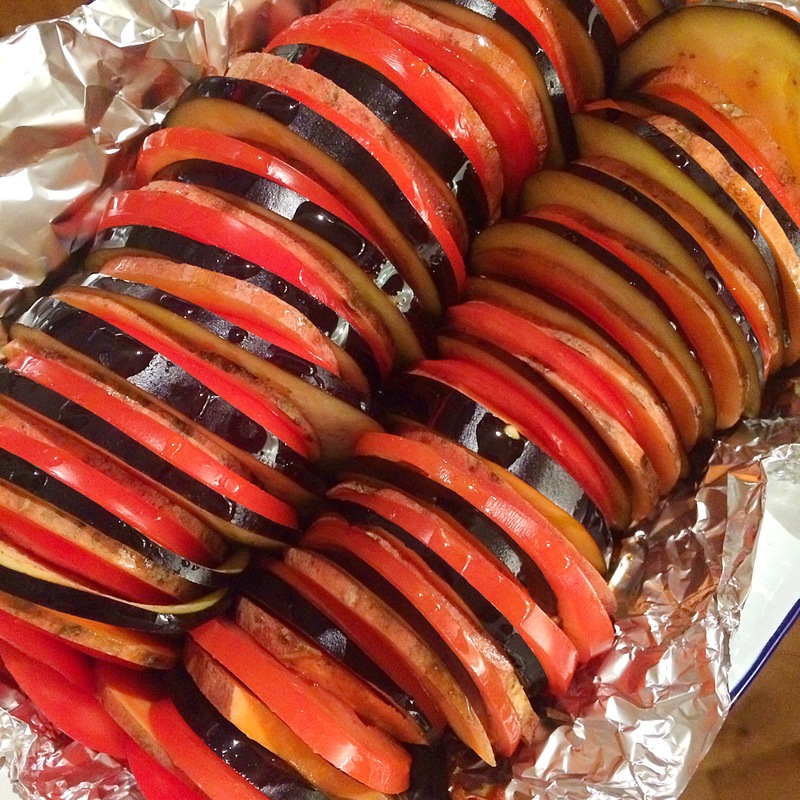 Not to be confused with a traditional ratatouille, which is often presented in the same way, my tians have included not the courgettes, aubergines and tomatoes sitting on a base of onions and garlic of a ratatouille, but my version based on whatever I had to hand! 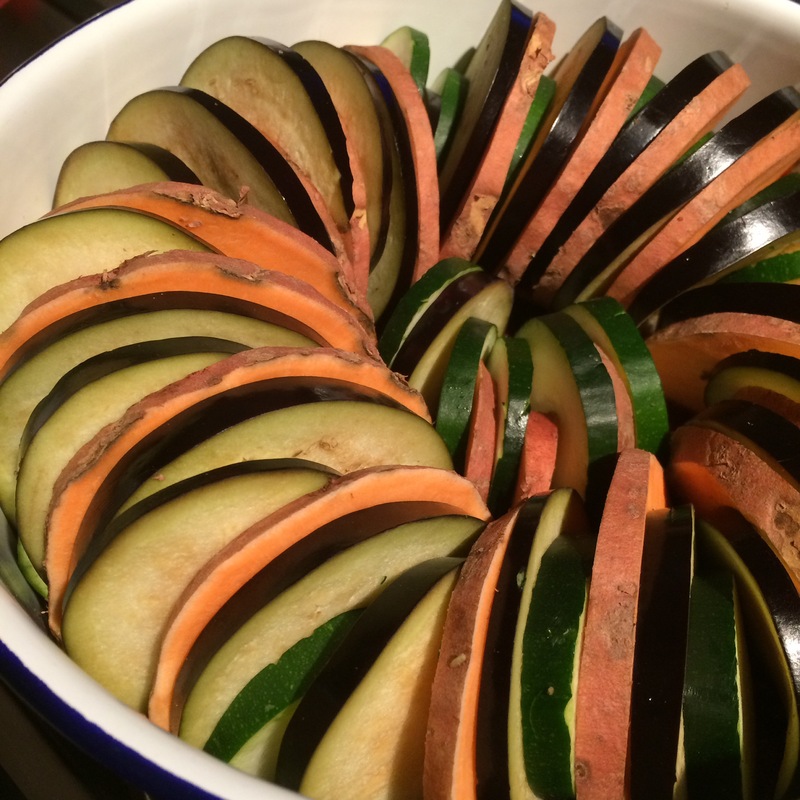 As is my way, I was already knee deep in making dinner for my boys when I decided to give a tian a go, so it was a bit of a rush job.. 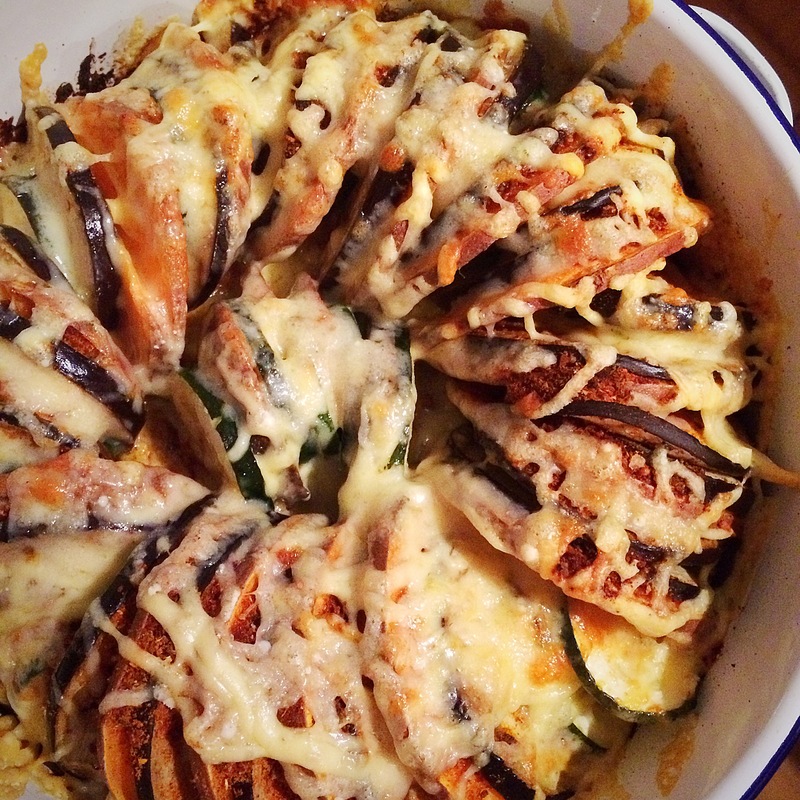 This was sliced aubergine, courgette and sweet potato sitting on a slick of one of my homemade Mexican chilli sauces. 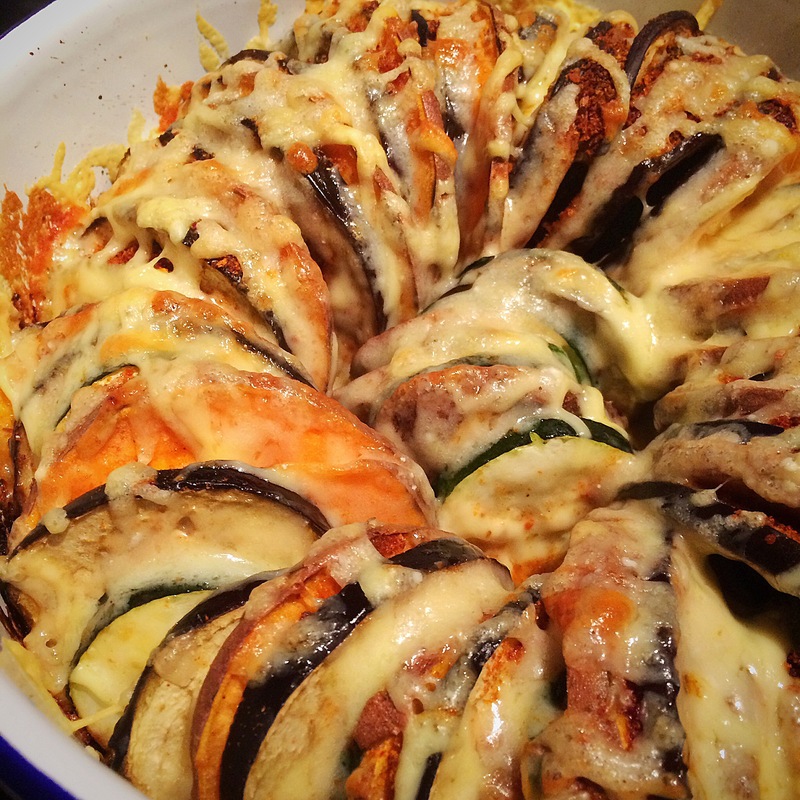 I put a lid on the pot and baked it for half an hour, then removed the lid, sprinkled over it all some spices and grated cheese and cooked it further..
And it was good!!! Maybe not very pretty, but very tasty. The leftovers were even tastier the next day.. 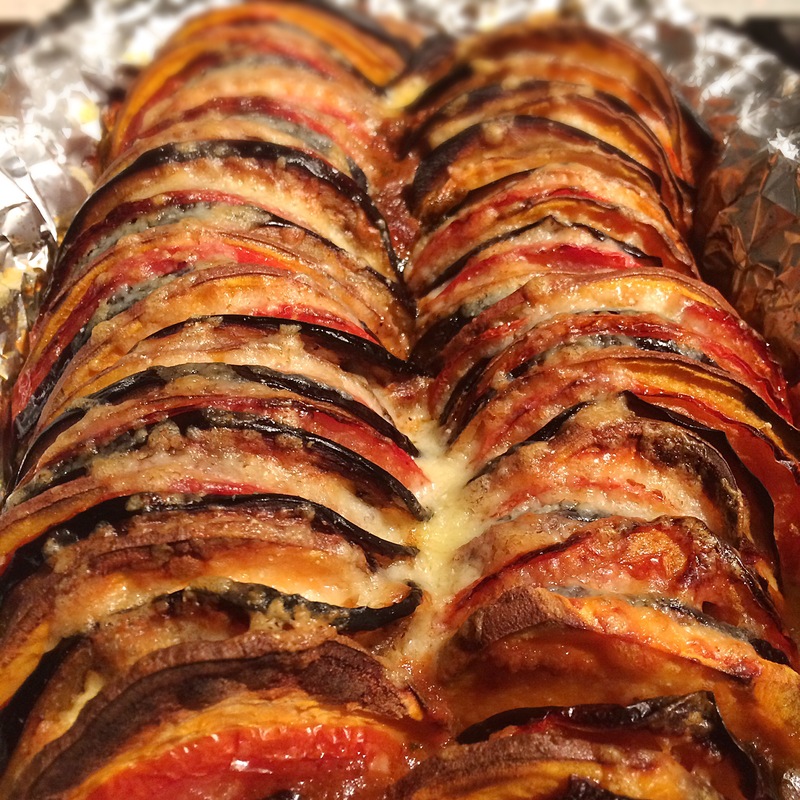 I tried again a few days later but this time with aubergine, sweet potato and tomatoes – and this one was even better. The added moisture of the tomatoes is definitely a winner.. 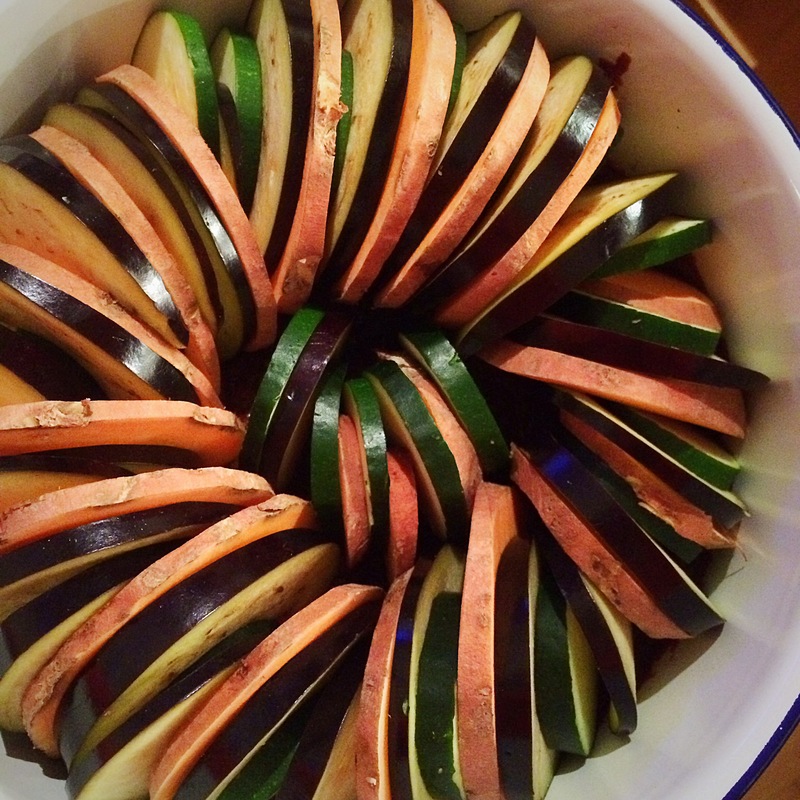 I decided to line the slices up in a rectangular pan which worked just as well, even if it doesn’t look as pretty. I also baked it uncovered for the whole time and sprinkled a smaller amount of cheese over it all 10 minutes before it was finally removed from the oven.. It really is a winner, I’ll be making this more and more often! 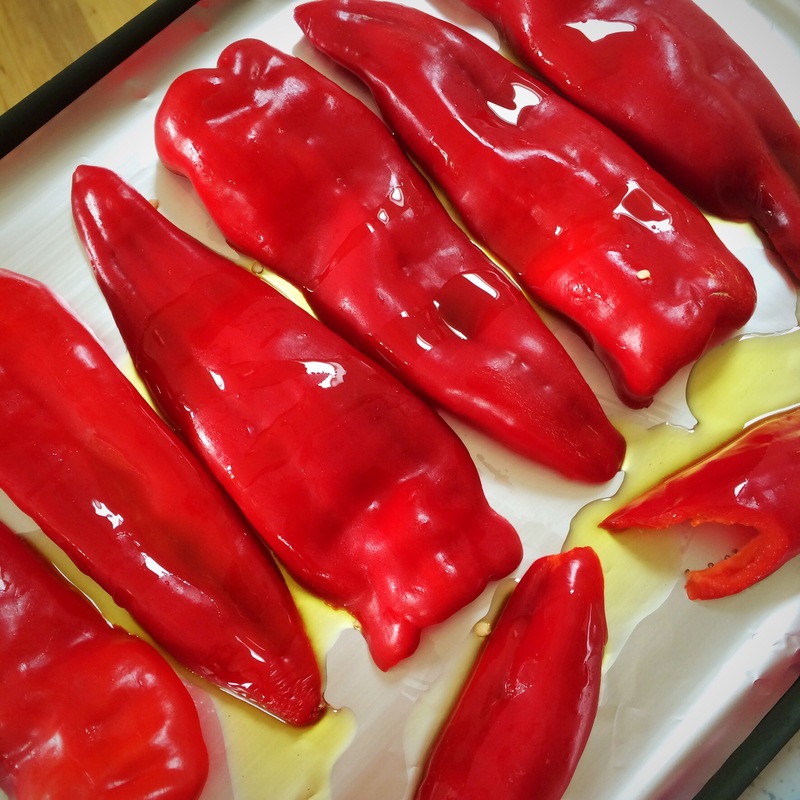 I think they look great when you serve them up, definitely a great option for Christmas if you’re looking for a side dish or vegetable based main dish. You could always replace the cheese topping with something else, or just leave it off, for a vegan. And try serving it with a dip, sauce or homous. Try and slice everything thinly and of even thickness, you could use a mandolin or slicer if you have one, I don’t! Always make enough to have leftovers!!! 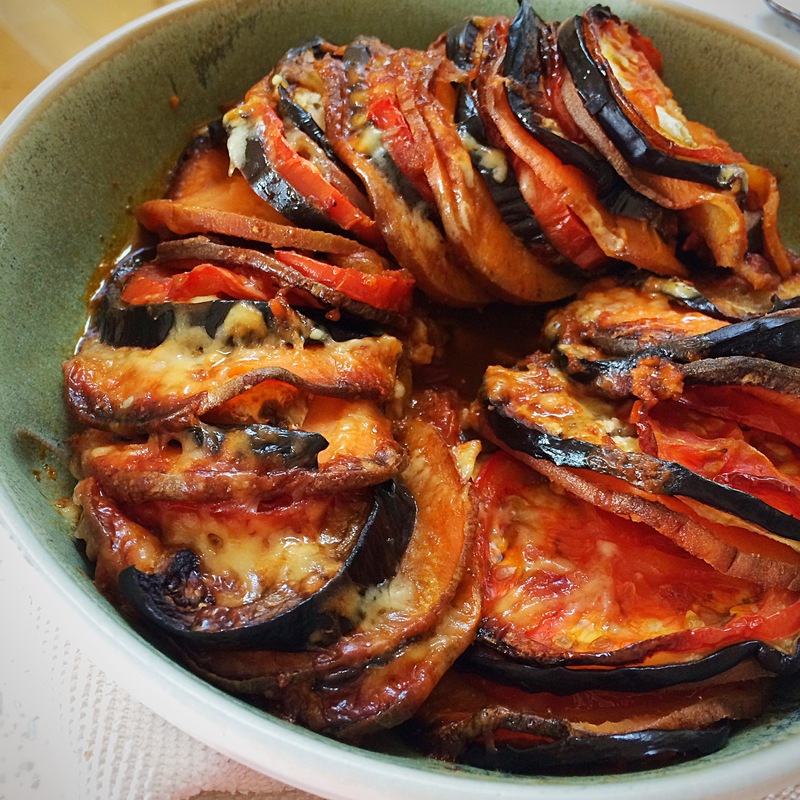 This entry was posted in Aubergine, Christmas, Healthy, Leftovers, Lunch, Mexican, Roasted Vegetables, Sweet Potato, Vegan, Vegetarian and tagged cooking, recipes on November 25, 2016 by Elaine @ foodbod. A great selection of Mexican chillies, chilli powders, and in that gorgeous little box, Persian saffron…how lucky am I??? The first thing I wanted to do was play with the dried chillies and make a great a new sauce for mine and my boys delectation..
I’ve read enough recipes and made enough similar sauces in the past not to need a recipe, but I did make a note of what I did in order to be able to share it..it all began with roasting lots of lovely vegetables, and soaking chillies.. Please note: my versions of teaspoonfuls or tablespoonfuls are usually of the heaped variety, I tend to be quite generous with portions and measurements! I would suggest that you need to play around with the measurements, and therefore the ensuing flavours for yourself, start with my basic suggestions and add more if necessary for your tastes. The photo above shows the bits you remove from the chillies, and below, what you’re left with..
Store in a clean jar. I have found that chilli sauces store well for a few weeks in the fridge. 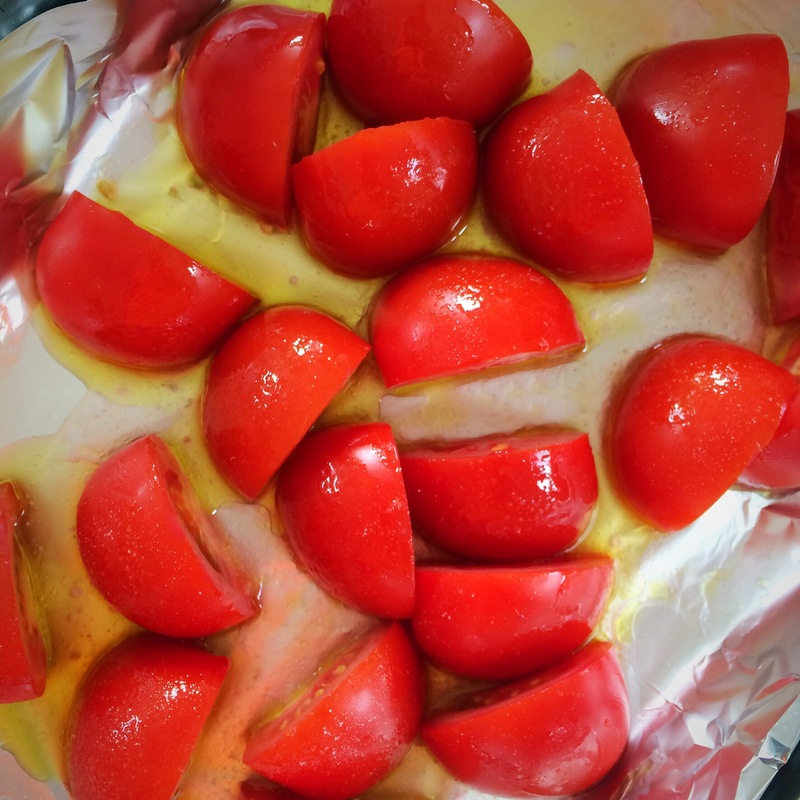 However, to be safe, you could add a thin layer of olive oil over the top of the sauce to preserve it, although the honey and/or salt should also assist in preserving the sauce. 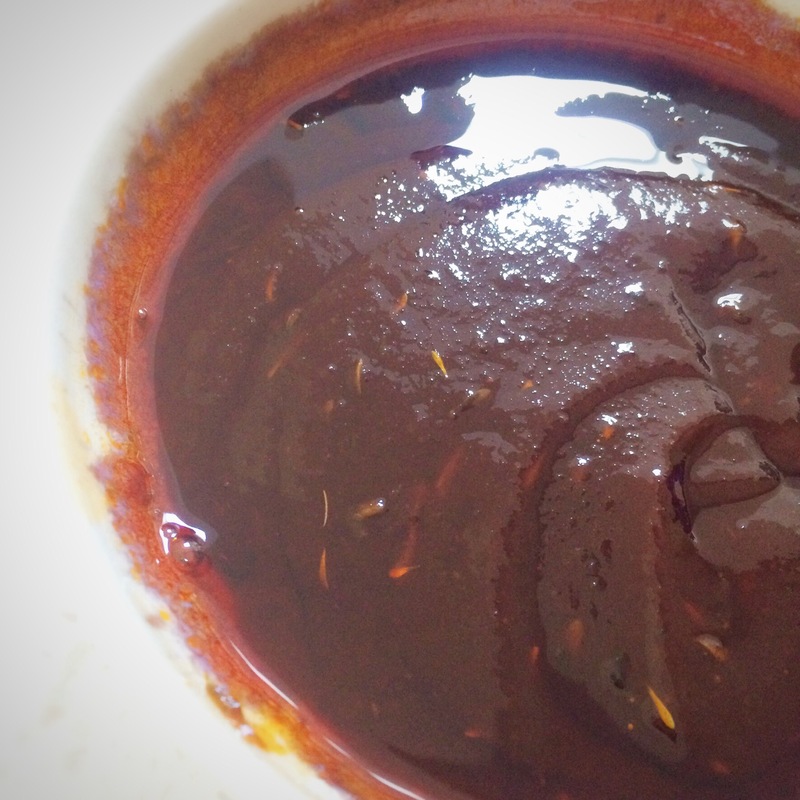 The addition of the cocoa powder is quite typical in Mexican dishes, and it was the first time I’ve added it to anything I’ve made; it adds a real richness to the sauce, you don’t really taste it as chocolatey, but you can smell the cocoa when you open the jar, which all adds to its loveliness. I’ve had this in my fridge for a couple of weeks now, and the flavour keeps developing and just getting better. 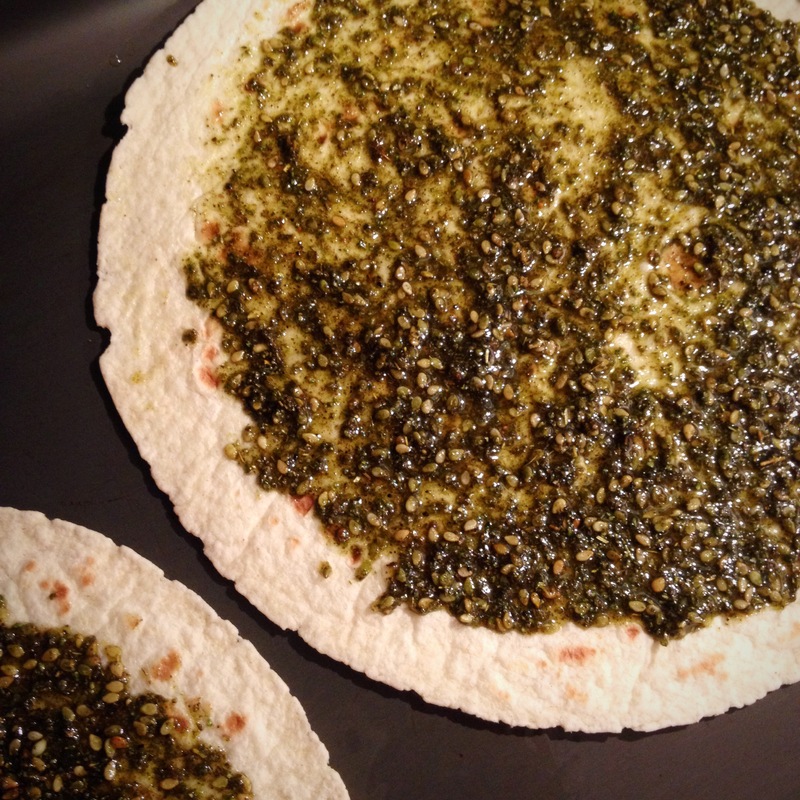 This was my lunch one day this week..spiced spinach flatbread base, topped with my chilli sauce & cheese, enjoyed with a lovely fresh salsa of chopped parsley, coriander, dill, garlic, Verjus, olive oil & lots of spices…yum!!!!!! 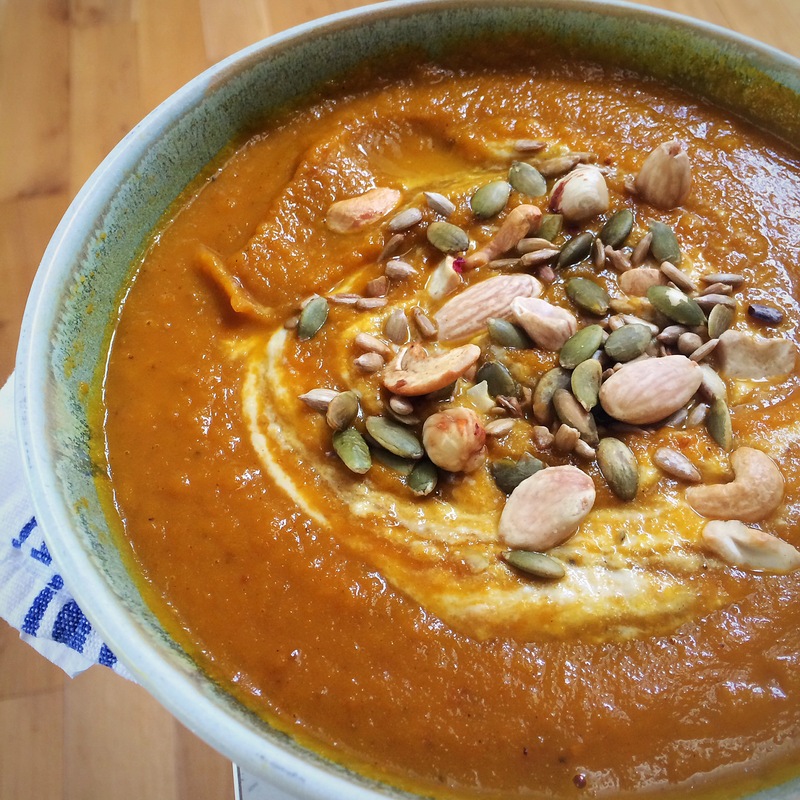 This entry was posted in Dips, Gluten Free, Healthy, Lunch, Mexican, Roasted Vegetables, Sugar Free, Vegan, Vegetarian and tagged cooking, recipes on August 4, 2016 by Elaine @ foodbod. How exactly does on take a photo of a sauce???? There’s probably much better ways of showing it off than this, but I keep forgetting to shoot it in use, hence the pic above…so apologies for the uninspiring photos, I can promise that the flavour makes up for it! 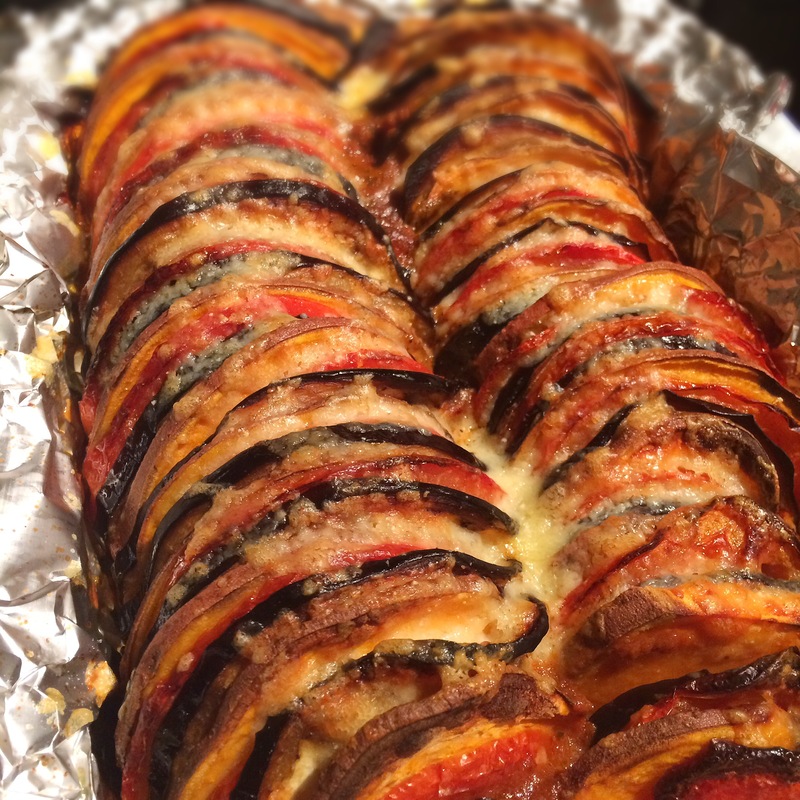 This entry was posted in Fellow Bloggers, Mexican, Vegan, Vegetarian and tagged cajun, cooking, recipes on June 20, 2016 by Elaine @ foodbod. 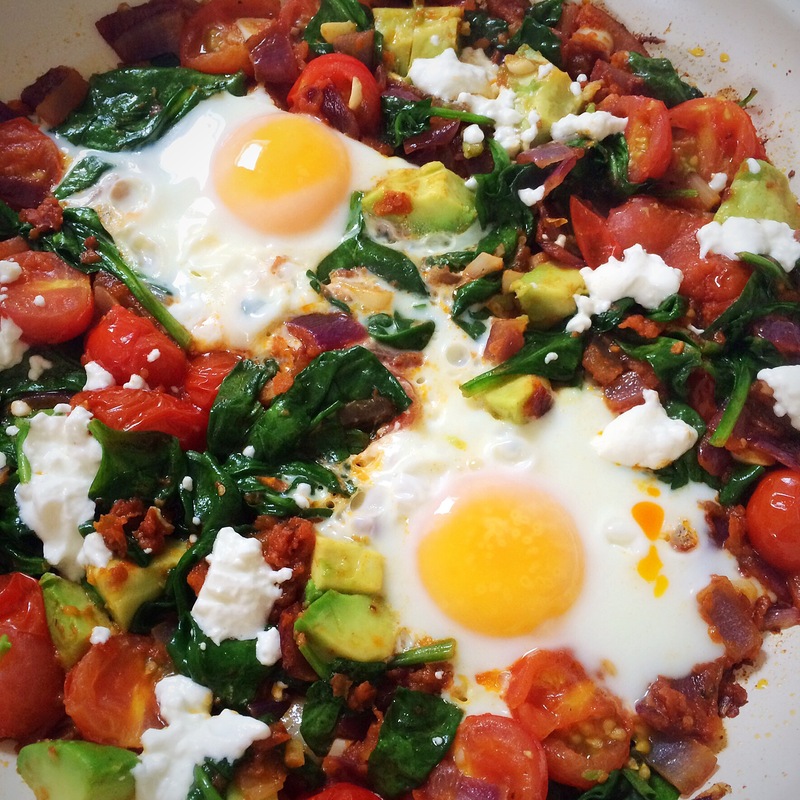 A pan of vegetables, egg, avocado and goats cheese.. But then, what IS a recipe? It is one persons view of a set of ingredients that go well together that they’d like to share with other people in case they might enjoy it. And how should those recipes then be used? Should they be followed to the letter? (I’m not talking about baking here, which tends to need to be quite precise). For me, a recipe is a suggestion, sometimes an education, often a starting point…I read recipes out of interest to see how someone else has put flavours together and I glean inspiration from their creativity and let it roll around my brain; I read recipes to learn about other cultures and cuisines; but I rarely follow a recipe absolutely nowadays. 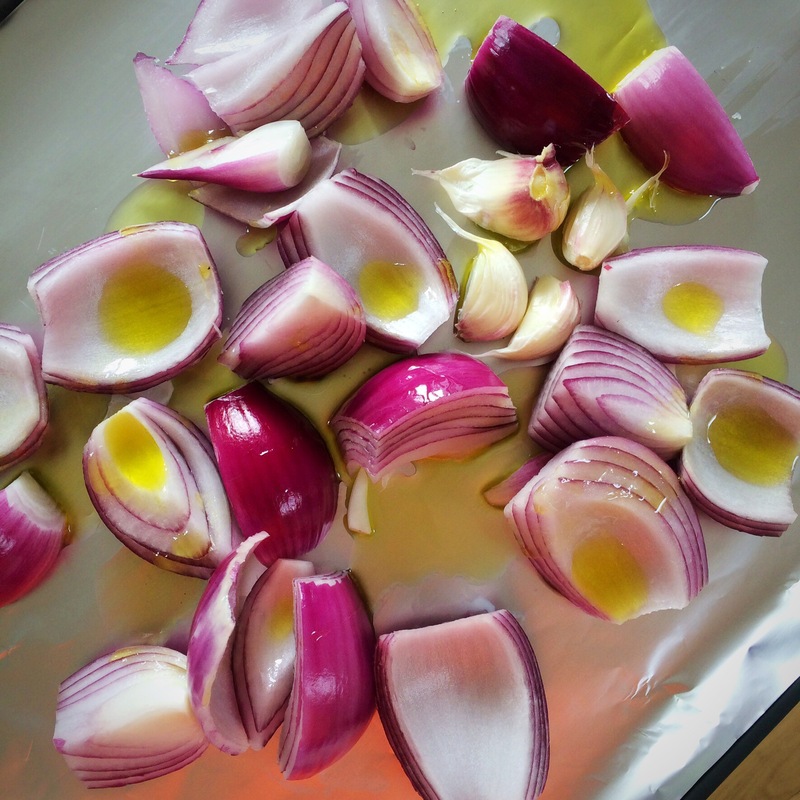 And I know that also comes with time and confidence…years ago I would have been absolutely paranoid about following a recipe perfectly, because I wasn’t yet a comfortable, or confident, cook. Nowadays I ‘interpret’ recipes to suit my food choices and tastes, whilst embracing the overall aim of the recipe, if that makes sense?! 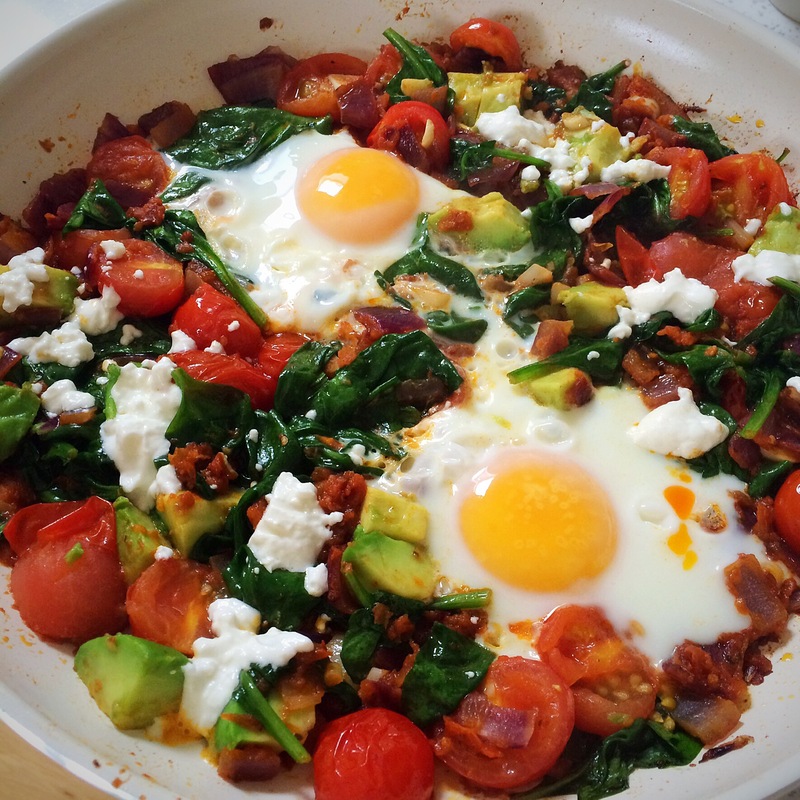 This was so good, I made it again the next day! 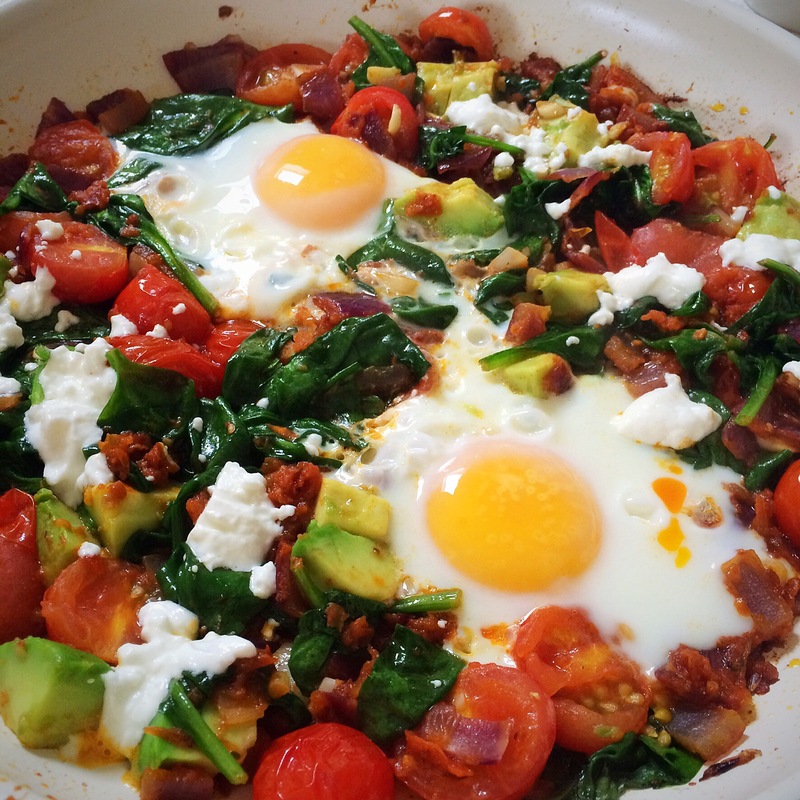 If its your thing, it’s also packed with protein, good fats and low in carbs, IF that’s your thing. In went about a tablespoon of coconut oil, followed by the red onion, which I cooked for a few minutes on its own so that it would caramelise a bit; then I added the garlic and tomatoes; then I stirred through the harissa, and added the spinach; I allowed the spinach leaves a couple of minutes to wilt, then stirred them in too; then added the avocado and made two spaces in the middle of it all to break the eggs into; as they cooked as sprinkled the goats cheese over the top to start melting slightly. 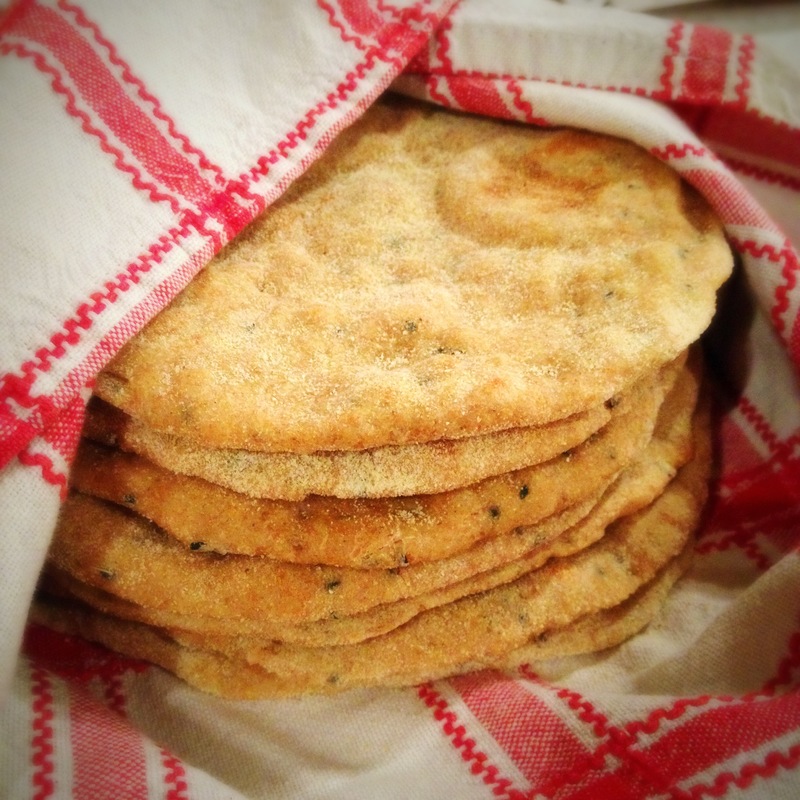 So, I give you, and everyone at this week’s Fiesta Friday, my non-recipe recipe! Enjoy for breakfast, brunch, lunch or dinner! 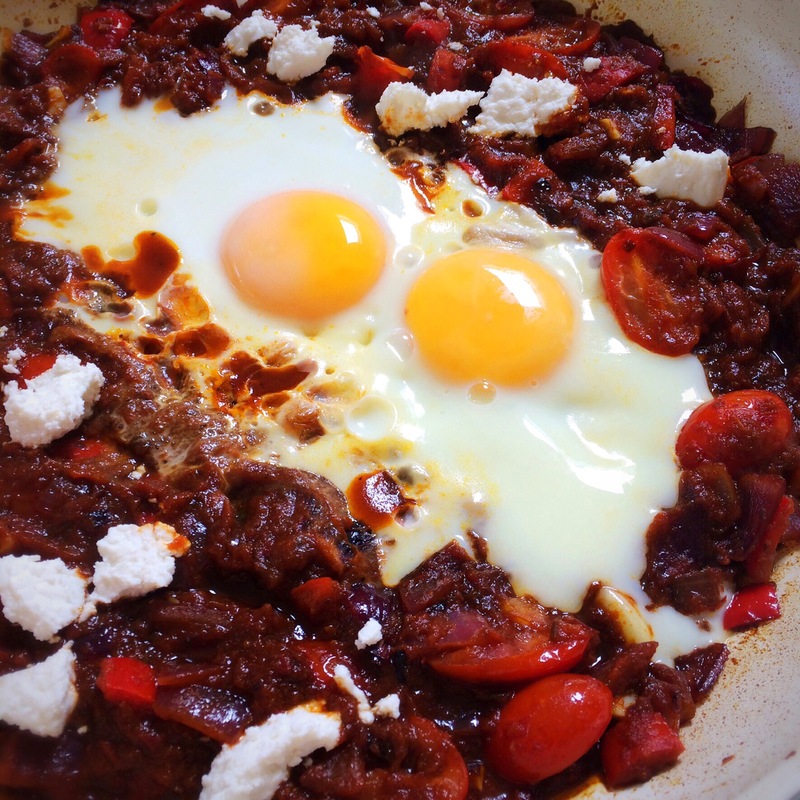 This one is coconut oil, red onion, garlic, red pepper, chipotle sauce, baby plum tomatoes, eggs and ricotta. Again, eaten straight out of the pan! Yum!!! 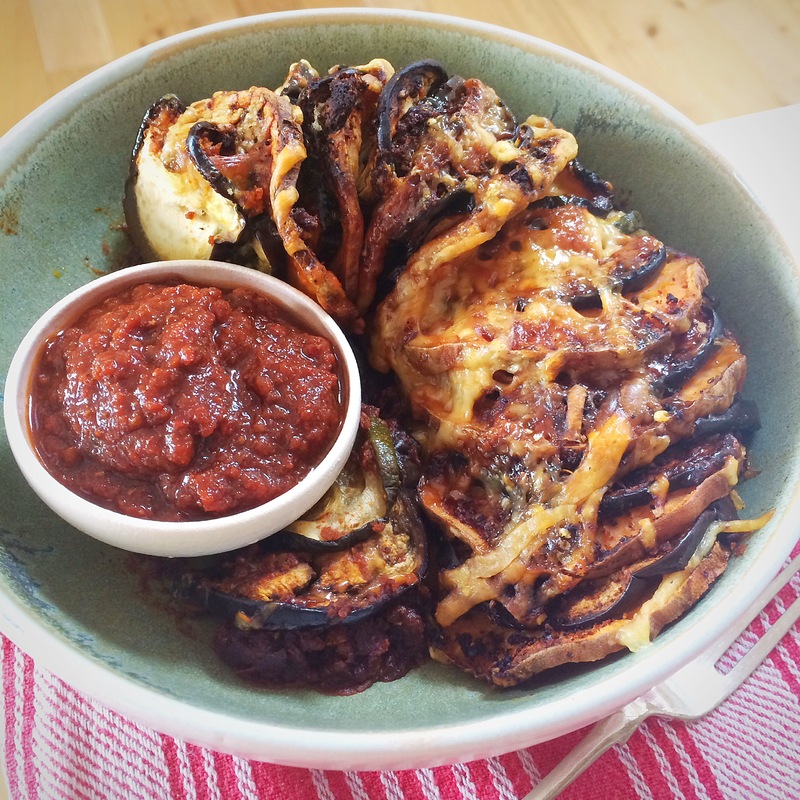 Now head over and join the wonderful co hosts of this week’s Fiesta Friday, the lovely, lovely Linda, and Margy…now there’s two ladies whose amazing dishes will always inspire you! 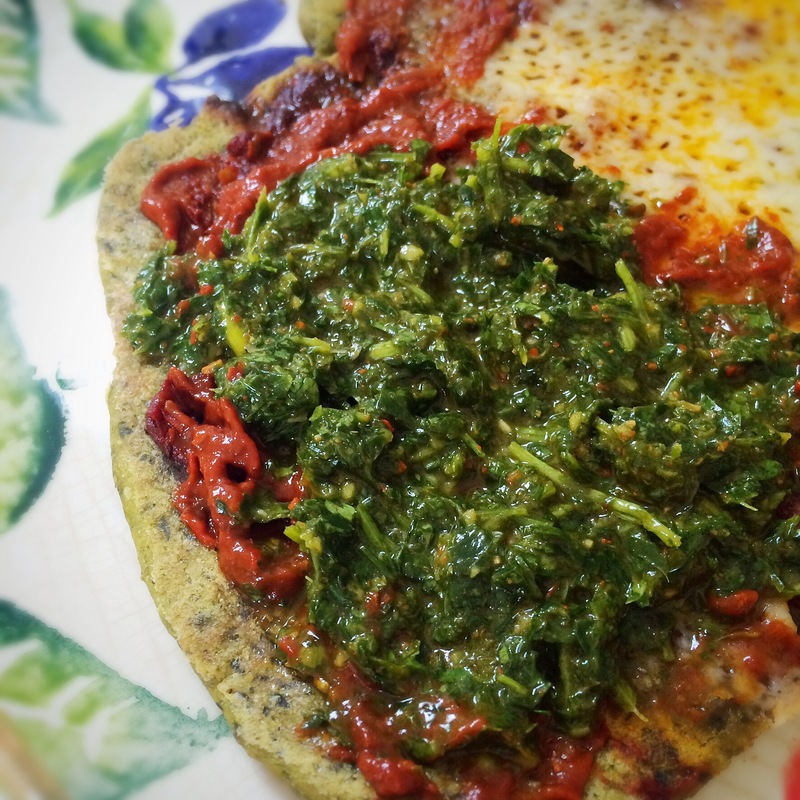 This entry was posted in Coconut Oil, Dinner, Gluten Free, Healthy, Lunch, Mexican, Middle Eastern, Sugar Free, Vegetarian and tagged brunch, cooking, fiesta friday, recipes on June 10, 2016 by Elaine @ foodbod. Food ideas from my kitchen.. 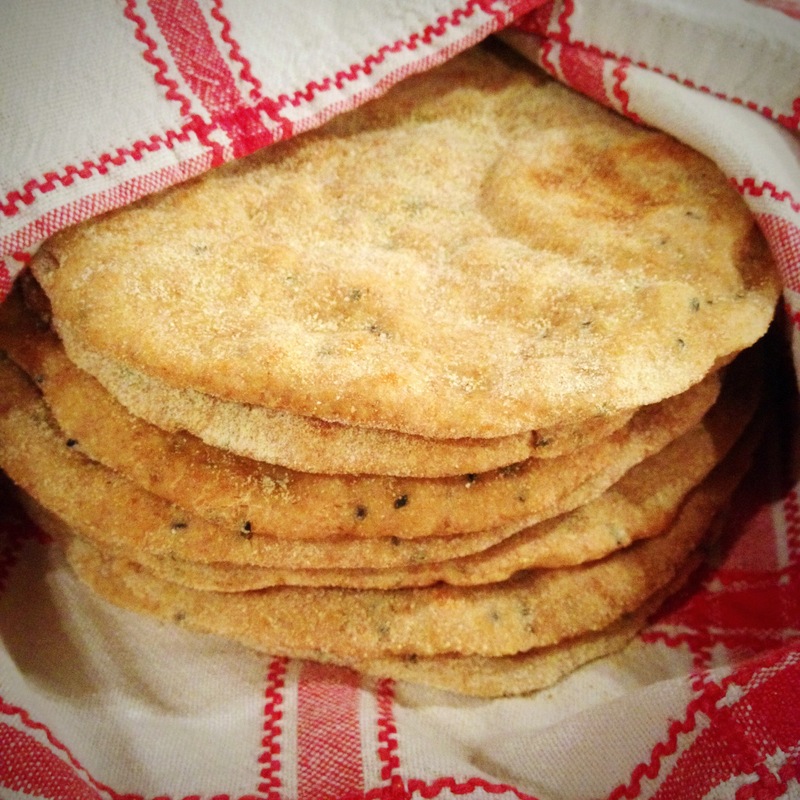 This weekend I revisited one of my own recipes and made some roasted cumin wholemeal spelt flatbreads, this time with some nigella seeds and some fine semolina to replace some of the flour..
What I loved was that I used a patterned bowl to prove the dough and you can see by the lovely pattern on the beautiful bowl a special friend gifted to me just how much it grew within an hour! And how much the light had faded!! See what I mean? You think the photo is just taken at a closer point but it isn’t! 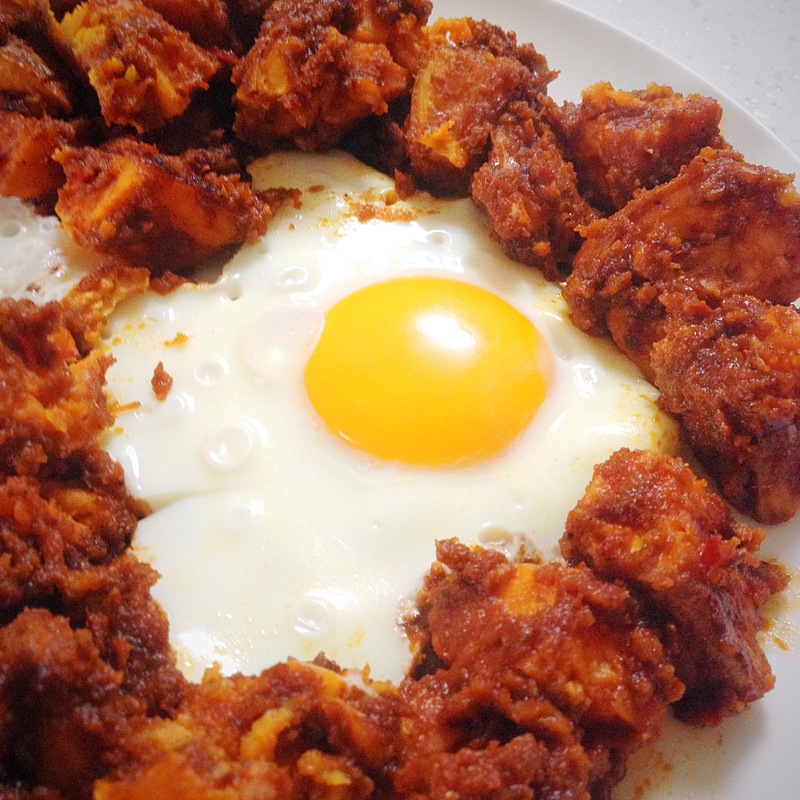 We ate these with a meal of dips and roasted vegetables, and kebabs for my boys, on Saturday night, and I used the leftovers as pizza bases on Sunday night..
Below was my Sunday brunch…leftover roasted cubes of sweet potato cooked with my homemade chipotle en adobe sauce, nestled round two lovely eggs..
Sunday afternoon I made a version of refried beans.. 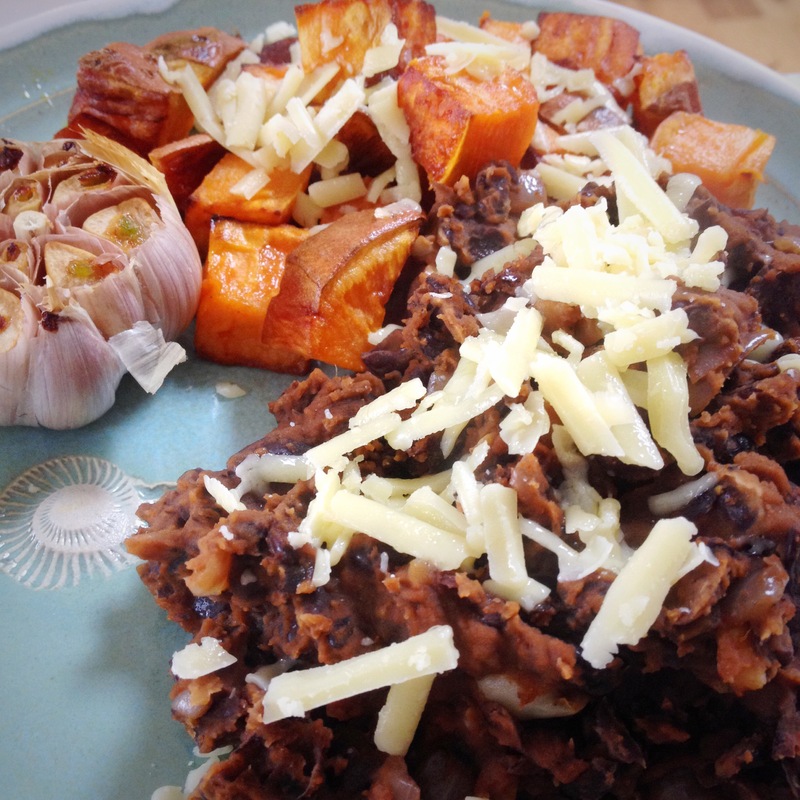 I had already soaked and cooked some black turtle beans; I then finely chopped a red onion and some garlic, and cooked both in olive oil; I added cumin, smoked paprika, salt and a pinch of cayenne pepper; I then added the beans and started to mash them, adding a bit of water as necessary. 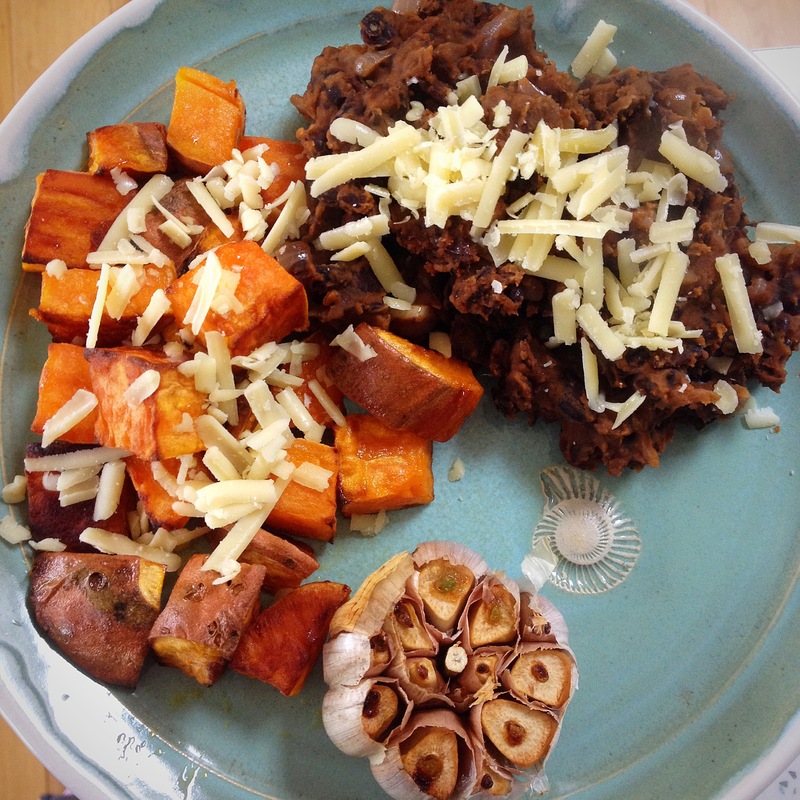 This plateful was Monday’s lunch, using up the rest of the sweet potato, adding some roasted garlic and a big spoonful of the refried beans.. 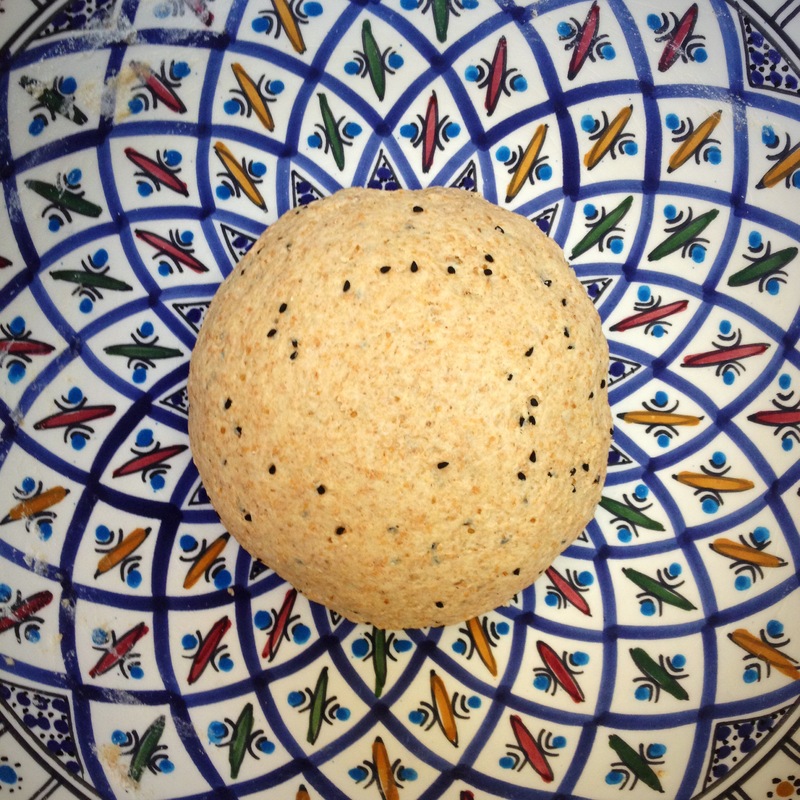 Check out the beautiful handmade plate! 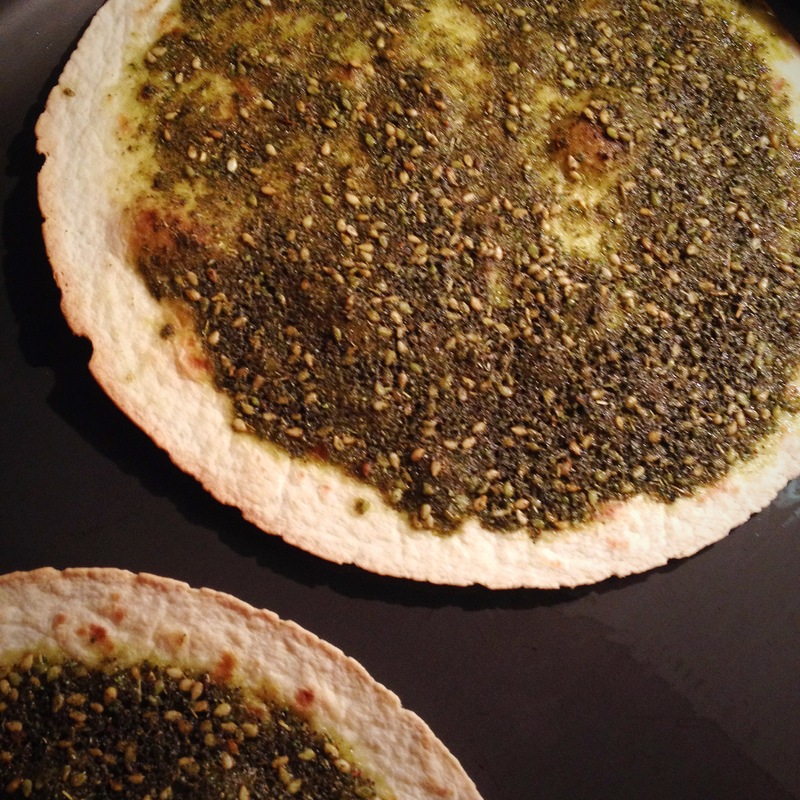 I love manaeesh, middle eastern flatbreads baked with a with za’atar and olive oil topping; this was my quick version on Friday evening, using a couple of tortillas as the base..
And finally some roasted vegetables for your delectation..peeled and chopped and mixed with olive oil and za’atar and roasted…big fat yum!!! They never look as pretty once they’re cooked, but boy did they taste good! 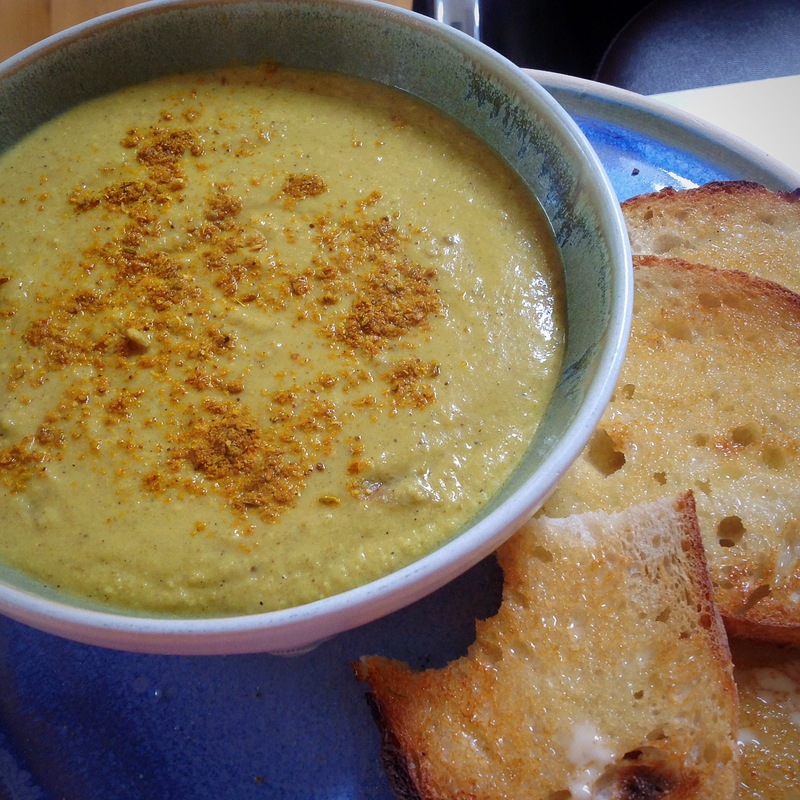 The next day I blitzed the leftovers with some tahini and lemon juice and made a very tasty dip. 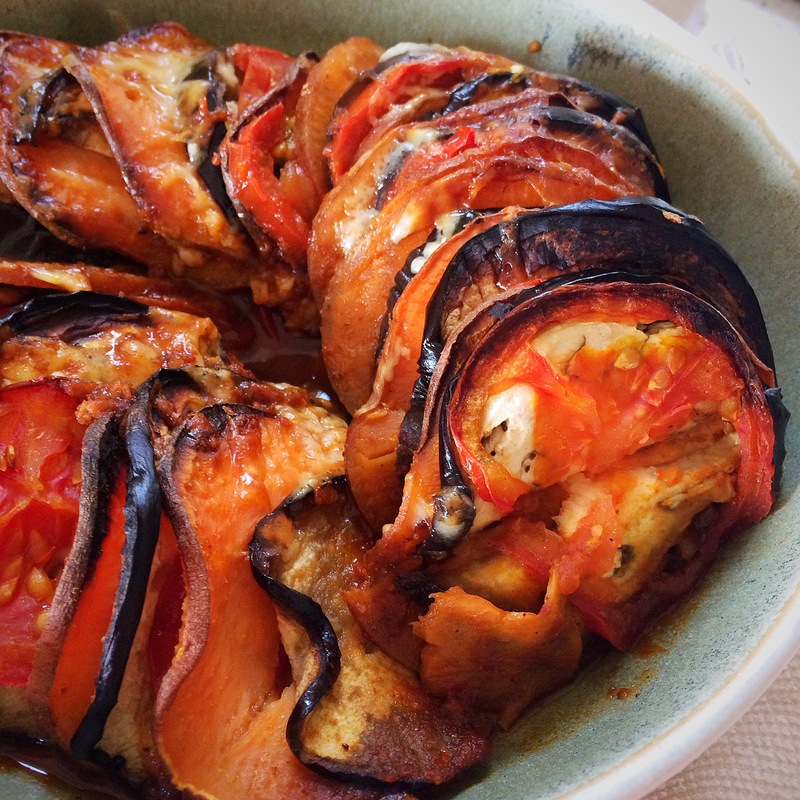 This entry was posted in Dinner, Healthy, Lunch, Mexican, Middle Eastern, Roasted Vegetables, Sugar Free, Sweet Potato, Tahini, Vegan, Vegetarian and tagged cooking, recipes on February 2, 2016 by Elaine @ foodbod.